Feel the wind in your hair, hear the sound of the rolling seas, smell the sweat of unwashed pirates! BADCo are back, and this time all awash! “Treasure Island” is about an island, with treasure on it – the title kind of gives it away. This new version is loosely based on the original story by Robert Louis Stevenson. You will meet some of your favourite characters (Jim Hawkins, Captain Flint and, of course, Long John Silver), but some of the adventures we put them through would shock those original characters. If they were alive today, they’d be rolling in their graves. This story has a start, a middle and an end, which makes it stand out from Pirates of The Caribbean II (in fact Johnny Depp failed the audition for our pantomime. Oh no he didn’t…). At the start, people meet at the pub (The Admiral Benbow, naturally) and hatch a plot so dastardly that you could give it a dog called Mutley. In the middle, there is a voyage on a ship. No surprises there, then? … just you wait. You will barely be able to comprehend this, but at the end, there is an Island… wait for it … with treasure on it. If I told you any more, you wouldn’t need to watch the show! Who gets the treasure? Who gets the girl? Who gets the boy? Who gets lost? Who gets to be Long John Silver? Will we really cut his leg off in the name of Art? 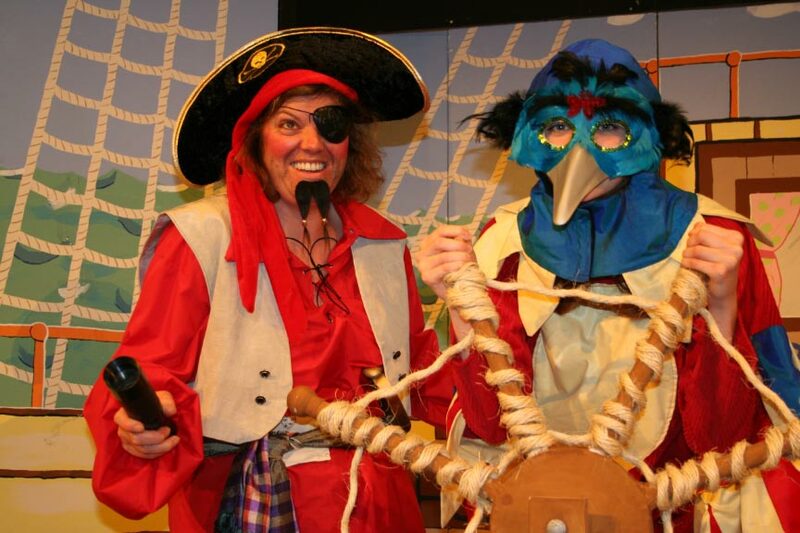 All this and much more will be revealed in the 2007 BADCo pantomime, “Treasure Island”. …and so it was, but if you didn’t see it, you’ll never know!